The Northern Capital of Russia is a city of wonderful football traditions. In this article, we will take a closer look at how the city is preparing for the upcoming FIFA World Cup, the game schedule and provide you with the contacts of rental companies. 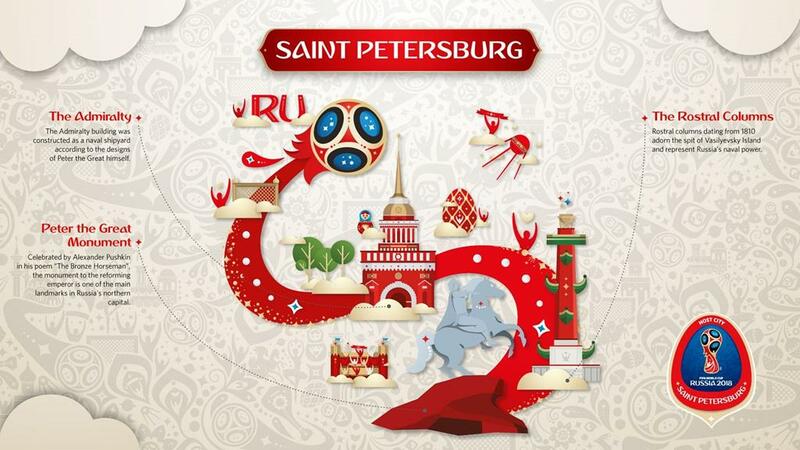 Saint Petersburg provides ideal conditions for the Mundial 2018. It has all necessary signs for the tourists, electronic maps, guidebooks. Excellent transport junctions, metro, huge tourist infrastructure — St. Petersburg is ready to host hundreds of thousands football fans. 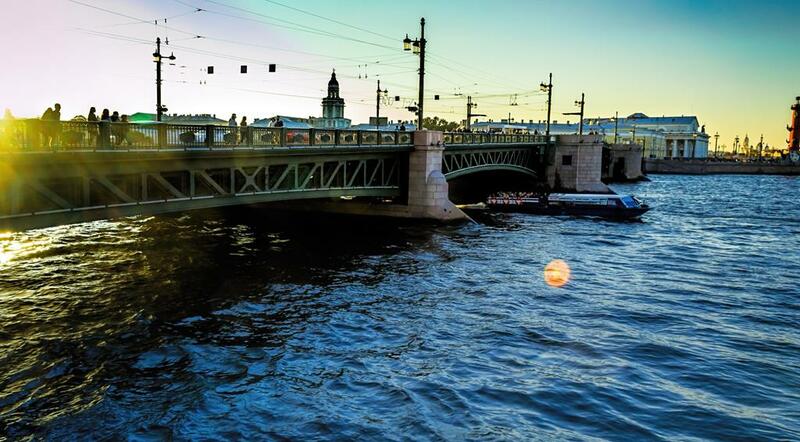 Saint Petersburg has been involved in the World Cup 2018 from the very first day of the Championship to the very last. Below you can see the group stage game schedule. Three playoff matches will be held in St. Petersburg. These are: the last sixteen (on the 3rd of July), semi-final (on the 10th of July), and third place playoff (on the 14th of July). 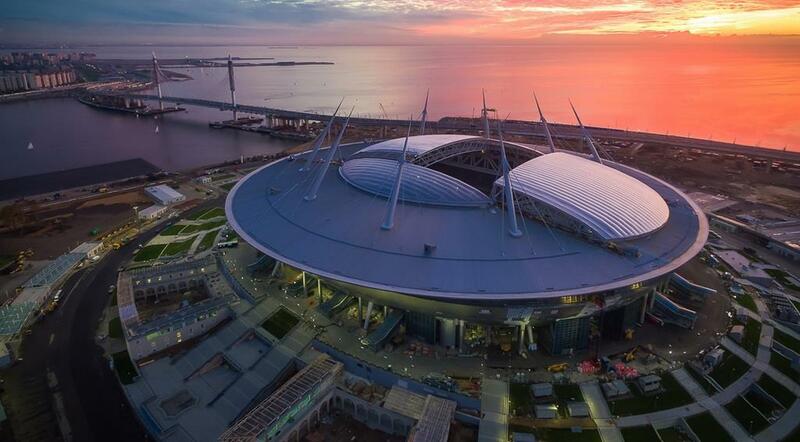 For the period of the World Cup 2018, Zenit Arena (the stadium of FC Zenit) will be called Saint Petersburg Arena. The cost of this stadium is close to $1 billion (ca. 45 billion roubles). The design of the stadium was developed by a Japanese architect Kisho Kurokawa who has tried to take into account all the requirements of modern society and made active use of high-end technologies. As a result, the stadium is a perfect location for the matches to be held in any weather conditions no matter whether it is summer or winter. The retractable arena field will run off the stadium. This is necessary to maintain the quality of the grass in local climate conditions. The overall capacity of the stadium is 68,000 spectators while at concerts and public non-sporting events it increases to 80,000. Today that’s a postcard-perfect sports complex, which was built in 10 years while the initial cost increased by 6 times. The total glass area of this sports venue is about 40,000 square meters. When manufacturing aluminum windows and internal panoramic glazing, energy-efficient tempered 6 mm thick triplex was used. It can provide the maximum safety to the spectators at the stadium. The total weight of steel structures is 32,000 tons which is comparable to the weight of four Eiffel Towers. The basic finish of the stadium with a total area of 26,000 square meters is made of composite aluminum panels. The surfacing in the bottom part of the facade is made of bulk ceramic metal panels with special anti-vandal functionality. Dome-shaped roof with a sliding canopy is made of ultra-modern materials. 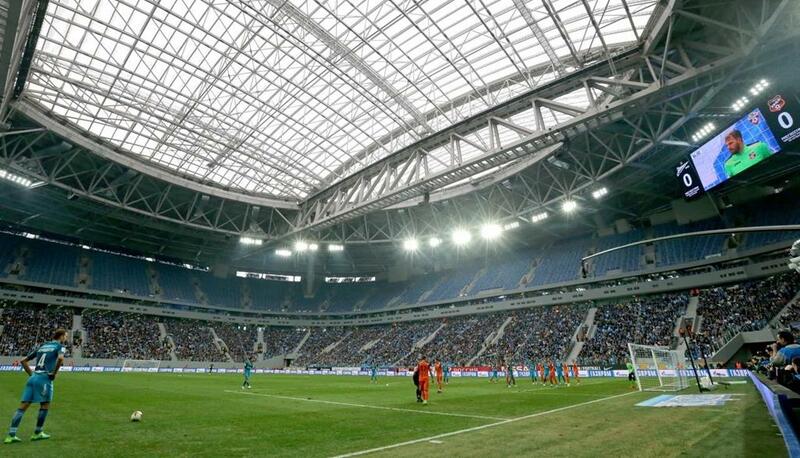 The area of the stadium’s roof is 71,000 square meters which is comparable to the area of three Red Squares. The sliding structure of the roof is similar to that of the drawing bridge and can move with a load of up to 50 kg per square meter, and when folded, it can bear the load of up to 2,000 tons. The same weight has the construction itself. The innovative ETFE film is used as transparent roof filling. EFTE is a material designed in the last century for aircraft and space industries. This film transmits light, stores heat and protects the people from precipitation. ETFE is a non-combustible material. The sliding roof is controlled by an automatic remote control system. The best players of the world will take the field of the local arena, and the city must meet their high-class level. Ahead of the World Cup 2018, St. Petersburg has changed markedly. For instance, previously there were very few 2-3-star hotels in the city. Those who travel on a budget could not find low cost accomodation. The majority of hotels had 5 stars. Thus, city administration approved in advance the Plan for the development of economy and mid-range class hotel industry: ahead of the World Cup 208, dozens of new 2-3-star hotels that offer reasonable prices will open in St. Petersburg. Particular attention should be given to the footbridge that helps you to get to the stadium and the new metro station which will open before the Mundial. 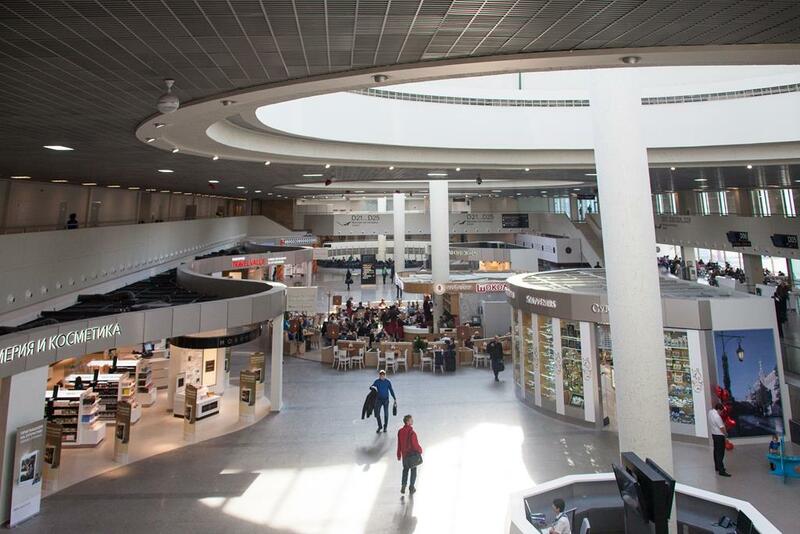 Two large airports Pulkovo-1 and Pulkovo-2 were built ahead of the World Cup 2018. They accommodate hundreds of flights from the whole Europe each day. However, that’s not enough for the World Cup 2018. Thus, the territory of the airport will be divided into several zones: air zone, landside and security control zone. It is also extremely important to establish domestic flights since the FIFA Committee has repeatedly expressed concerns about the way fans will travel between Russian cities during the World Cup. For the convenience of passengers, a glass bridge between Pulkovo 1 and Pulkovo 2 was built. The airport rail link from Pulkovo to the city is another moonshot project of the city administration, which will make it easier for the football fans to travel from the airport to Saint Petersburg. Saint Petersburg is a very attractive city. Its 200-year history is full of drama and glory that have affected its architecture. More than 400 bridges that link dozens of islands and granite embankments that are considered to be the most romantic places of the city and attract many tourists. Dozens of museums with the most valuable collections, palaces and parks of flourishing classic architectural styles and the unique atmosphere of the balls await the travelers. 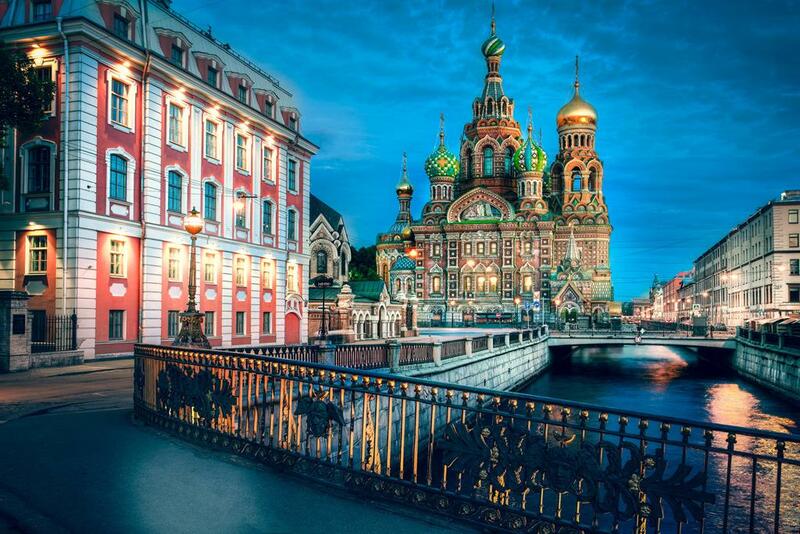 Fabulous white nights, the secrets of the Hermitage, Peterhof, Petrodvorets, Pushkin, Pavlovsk, Kronstadt, the churches, monasteries and lavra — everything is filled with a spirit of St. Petersburg. 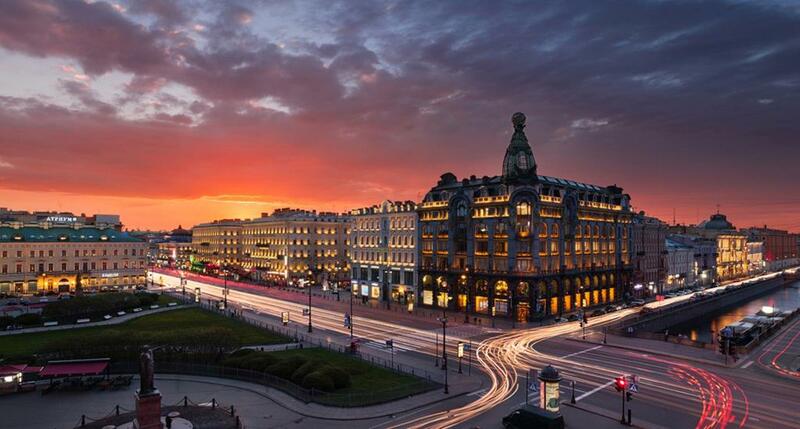 Nevsky Prospekt is the most famous and picturesque street of Saint Petersburg, the so-called main facade of the city. It goes for 4.5 km to Alexander Nevsky Lavra. The white nights is a unique natural phenomenon typical for the northern regions. It’s when in summer (June-July), the sun almost does not go down while the night lasts only a couple of hours. It’s the most romantic and pleasant time when life in the city does not stop for a moment. People walk along embankments, watch the bridges drawn, sit in the cafés, have fun and enjoy life around the clock. 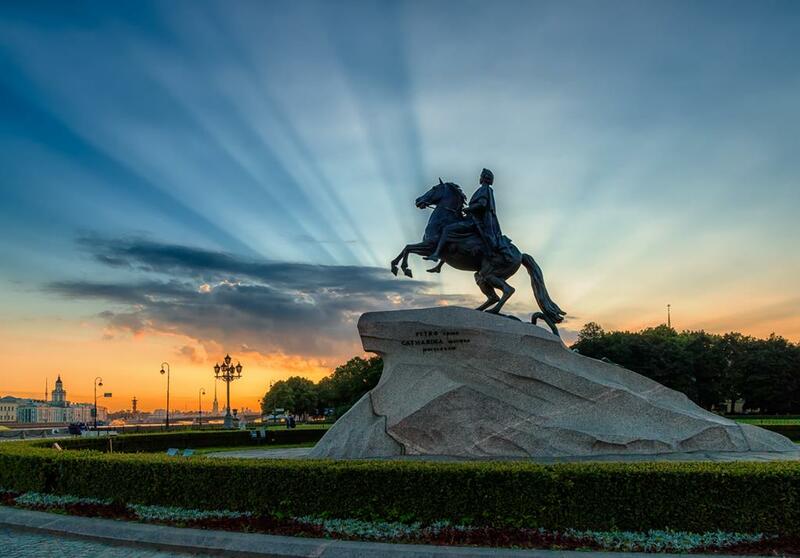 The Bronze Horseman is a monument to Peter the Great, the founder of the city. It is situated in the Senate Square. It was built by order of Catherine the Great. She planned to commemorate Peter the Great in a majestic figure with a sceptre dressed in the clothes of the Roman emperor, however, the sculptor Falconet had another vision of the monument. He saw him as a creator, benefactor of Russia. As a result, we have a monument of Peter the Great stretching his hand over the country. 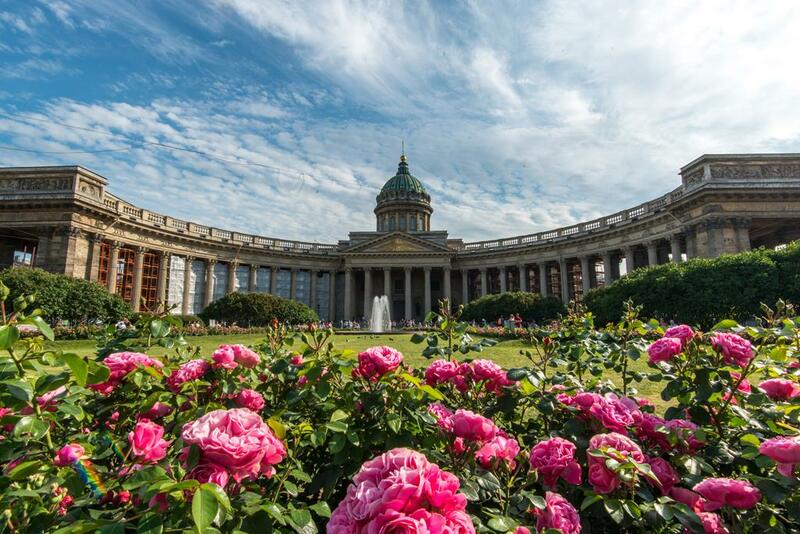 The Summer Garden is the oldest city park of the 18th century founded during the reign of Peter the Great. The first sculptures appeared here in 1707. During his life, the garden was used as his summer residence. During the reign of each new ruler, the garden grew bigger and bigger and as a result, it has turned into the picturesque piece of the garden art. 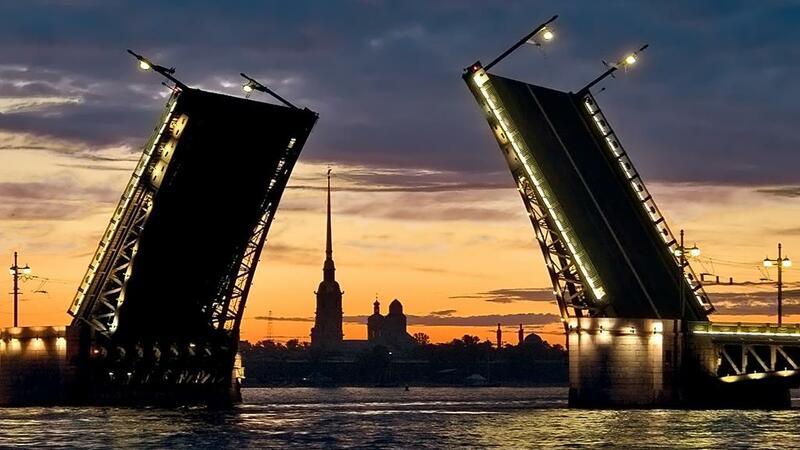 The Palace Bridge is a bascule bridge over the Neva River, a symbol of St. Petersburg. It links Vasilievsky Island with the central part of the city. The bridge was opened to the public in 1916, however, its famous shaped grids it got only 20 years after. The bridge was repaired in 1967, 1977 and 1997. Until 1998 a tramway ran here. The cast iron weighs 700 tons. Some elements of the turning machinery are over 100 years. 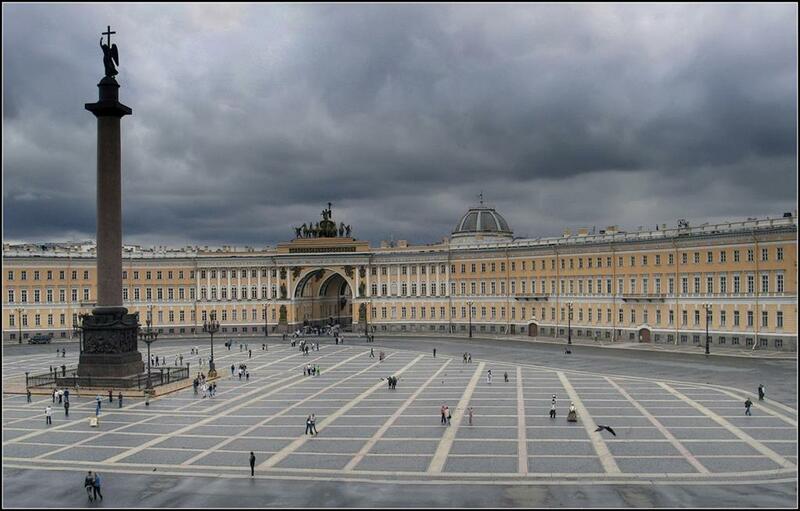 The Palace Square is the main square of Saint Petersburg and is situated in front of Winter Palace. It’s size is almost two times greater than the size of the Red Square. This architectural ensemble with perfect geometrical proportions was erected in the 18th-19th centuries. There is the Alexander Column in the centre of the square, which is dedicated to the victory of the Russian Empire over Napoleon. The column was built by order of Nicholas I. 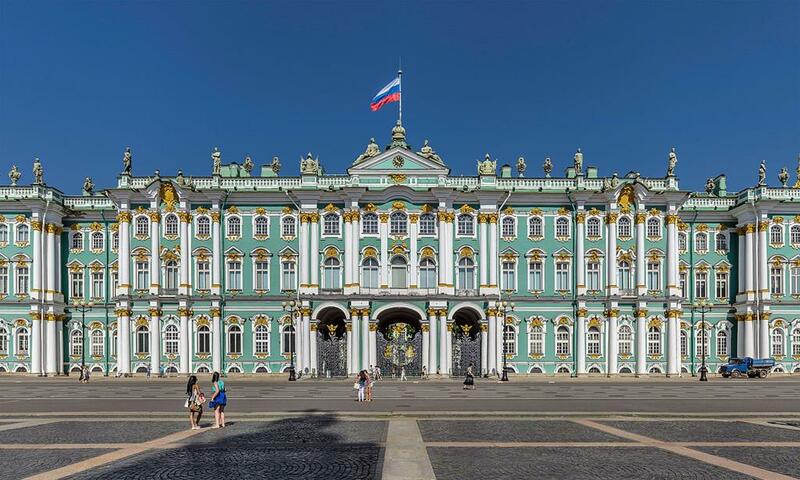 The State Hermitage Museum is the largest museum in Russia, which alongside with the Spanish Prado Museum, Louvre in Paris and the museums of Vatican is on the list of the world’s most outstanding and precious collections of artwork. The exhibitions of the museum occupy a complex of six buildings with over three million items. 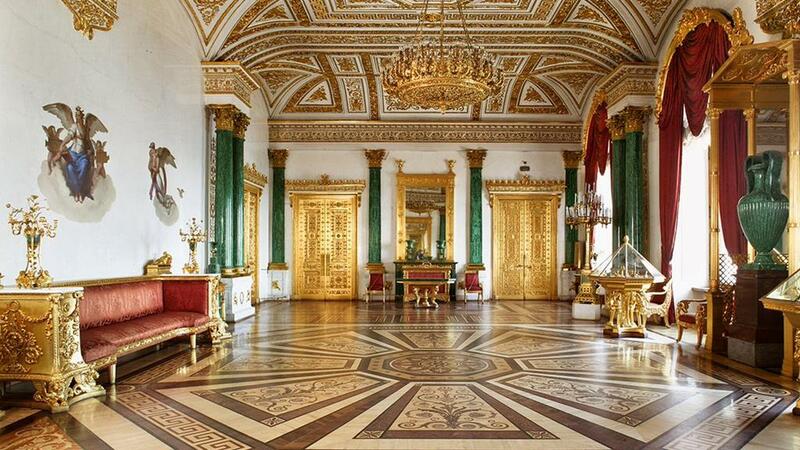 The museum is very proud of the Winter Palace building where the residence of the Royal Family was situated. This magnificent complex was built by Bartolomeo Rastrelli in the so-called Elizabethan Baroque style. The Church of the Savior on Spilled Blood was erected by order of Alexander III on the site where Emperor Alexander II was killed. The height of the building is 81 metres that corresponds to the date of this tragic event. The construction of the church was completed in 1907. There were no regular worship services here except for the services in memory of Alexander II. During the Soviet period, the church was used as a morgue and a warehouse. After restoration in 1997, there appeared a museum. Kazan Cathedral is the main Orthodox church in Saint Petersburg where the icon of Our Lady of Kazan is kept. The church was built upon the project of Andrey Voronikhin in Empire style. Alexander I took part in a groundbreaking ceremony. Saint Isaac’s Cathedral is a magnificent building that beautifies the city and known as the largest Orthodox church in Saint Petersburg. The construction was held under Auguste de Montferrand direction and under control of Nicholas I. The building is an example of the Late Neoclassical style with a touch of Byzanthine and Neorenaissance. The cathedral was named after Saint Isaac of Dalmatia, a patron saint of Peter the Great. 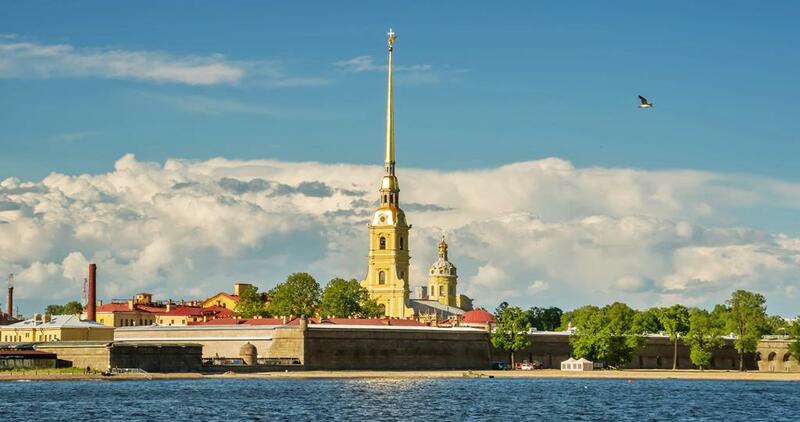 The Peter and Paul Fortress is an example of classical Russian Baroque style, a fortified construction and historical centre of St. Petersburg dated back to the beginning of the 18th century. The State Russian Museum is the world’s largest museum of Russian fine art. It was opened in the late 19th century during the reign of Nicholas II. 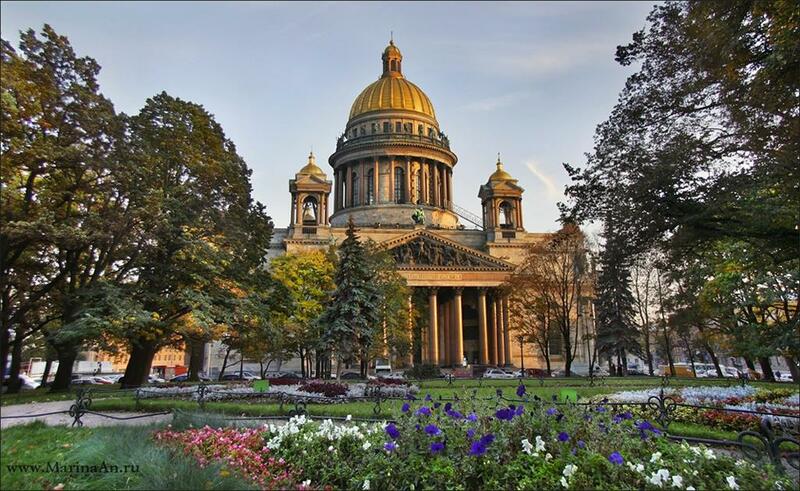 It’s impossible to list all attractions of Saint Petersburg, however, if you rent a car, the mission can be completed. Car rental in Saint Petersburg is available for those who are over 23 years of age and have 2+ year driving experience. 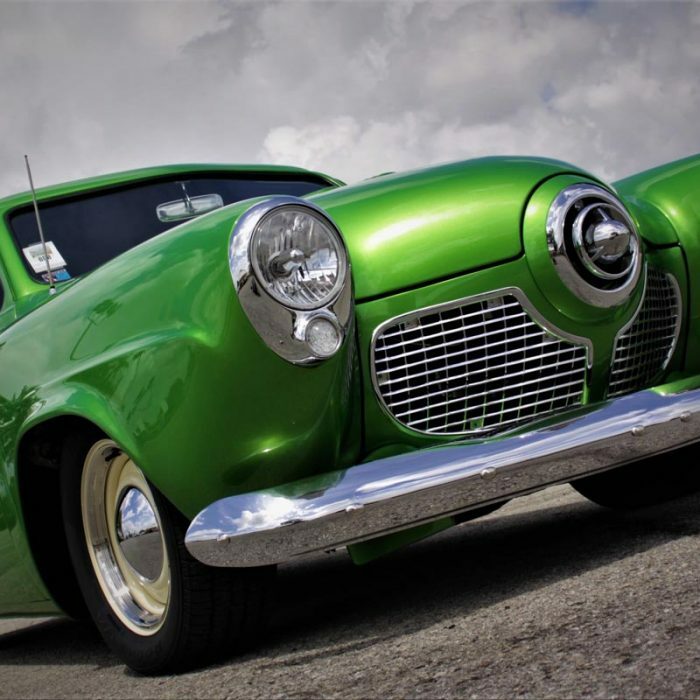 The requirements are more stringent for those who want to rent a business class car. You can rent any car and that won’t cost you a fortune. 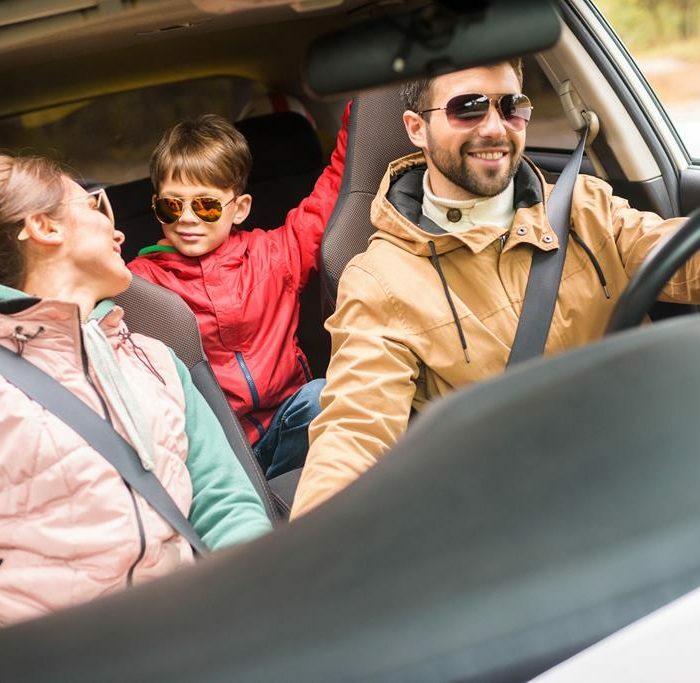 Rental agencies provide cars with or without drivers. Thus, car rental is available for the legal people and individuals, foreigners and tourists from other Russian cities. However, the problem here is that the client risks being swindled by the agency. Commissions and strange extra charges are pretty common. To avoid this, contact only the reliable rental agencies that have already proven their honesty, expertise and reliability. 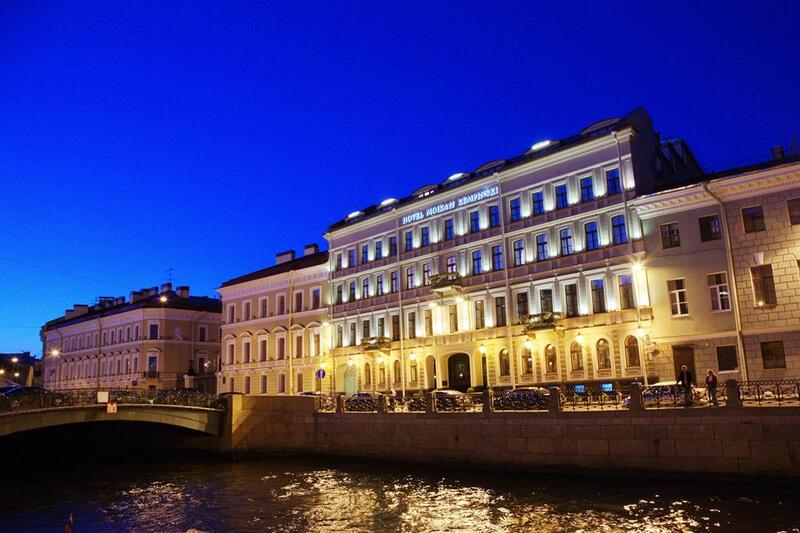 Below is a list of the most popular rental companies in St. Petersburg. If you still have no International Driving Permit, don’t waste the chance to get your access to the world where you can drive confidently all across the world! Seize the opportunity to easily apply for your IDL here.